West Bengal's Minister of State for Sports and Youth Services Laxmi Ratan Shukla, Atri Bhattacharya, IAS, Principal Secretary of Tourism and Debanjan Chakrabarti, Director, East and North East India, British Council visited the UK for 10 days, on the back of a Memorandum of Understanding that was signed in India between the Government of West Bengal and British Council on 6 July, to build robust links with the UK’s festivals and cultural tourism sector, with several reciprocal projects in the pipeline that include discussions with London’s Totally Thames Festival for a river festival in Kolkata. 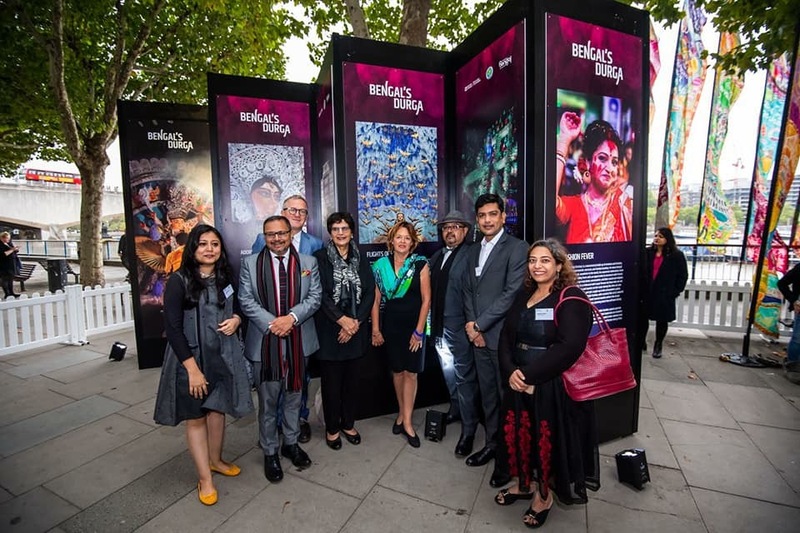 On 6th September the delegates attended an exclusive viewing of the exhibition in South Bank, outside National Theatre- “Bengal's Durga” followed by a reception to welcome them. Part of the Kinetika 2017 Silk River project, it drew together communities from River Thames and River Hooghly, exploring connections between them, this exhibition has been put together by the Department of Tourism, West Bengal along with British Council to celebrate 70 years of India. The exhibition showcased 16 panels with photographs by Manjit Singh Hoonjan, have been particularly curated by Ali Pretty of Kinetika and Kamalika Bose. It will be on display till 30 September. The exhibition photographs showcased different aspect of the Durga Puja, starting from variety of pandals and lighting, idols to 'sindoor khela'. Meeting the diaspora at an event organised by London Sharad Utsav and Bengal Heritage Foundation on Wednesday 5th September evening at The Grand Royale Hotel, Principal Secretary of Tourism, Atri Bhattacharya urged the Non Residential Bengalis (NRBs) to help create jobs and promote tourism in Bengal as well as promote Kolkata as a heritage city. He added, “Our Durga puja as a festival is unparalleled. 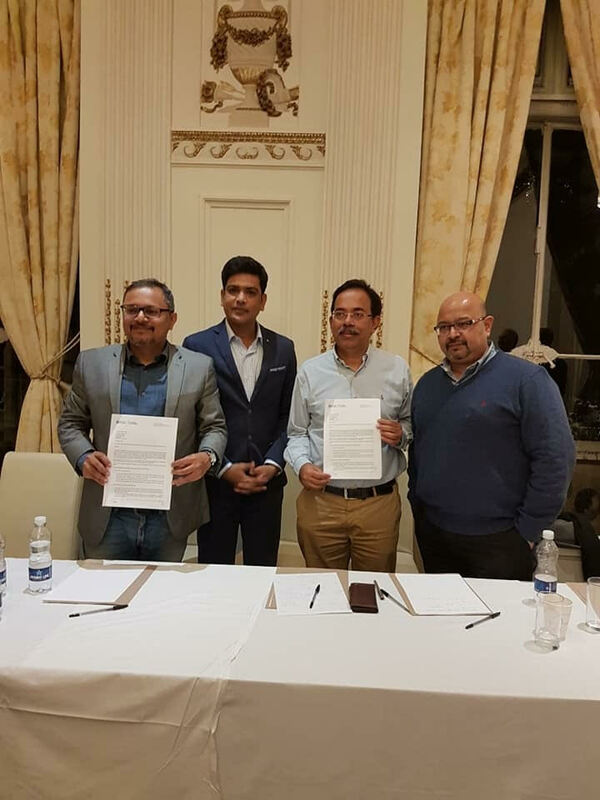 There is nothing in the world that compares to it.” At the event, British Council further signed 3 years of 'partnership agreement' with London Sharad Utsav. The purpose of the MoU is to promote the ongoing series of projects focussed on tourism, global promotion of Durga Puja, education of underprivileged children, skill development, cultural exchange etc in association with Bengal Heritage Foundation. On 6th Septmember, the delegates met with MP Virendra Sharma, the Chairman of All Party Parliamentary Group (APPG) in House of Commons. This was joined by Bob Blackman MP and Lord Meghnad Desai. They also went on to visit the Houses of Parliament, listen to a debate, followed by a meeting at the Horniman Museum in South London. Besides London, the delegation has met visited Ireland, Northern Ireland, Scotland and Wales, to meet representatives from government, tourism industry, fringe festivals, arts councils, literature festivals and museums.